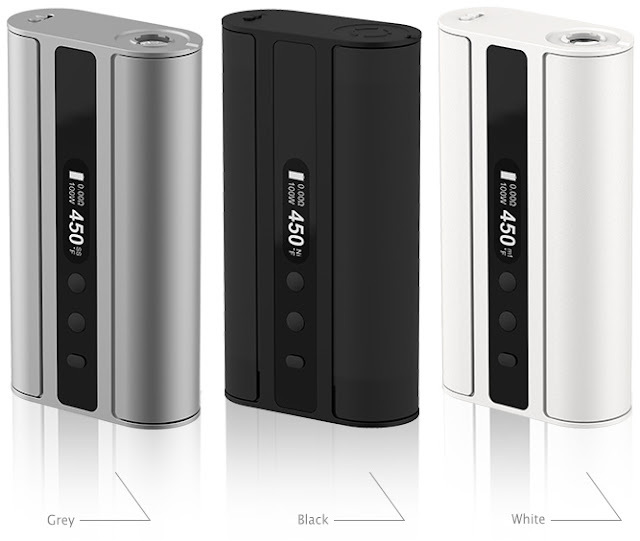 Eleaf iStick TC100W is the most powerful iStick yet, offering TCR. 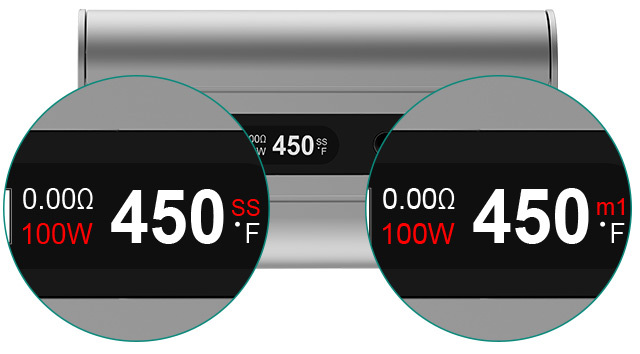 TCR (Temperature Coefficient of Resistance) allows users to adjust the values of different materials to improve the accuracy of temperature control. To access TCR, click the fire button 5 time to turn it off. Then press the fire button and up button simultaneously and then you will enter the TCR (M1, M2, M3) menu. If you need one, you can buy it at Eleaf official authorized distributor online store istick.org, just only $39.8, you can get it, do not need $49.9. Promise 100% original, and you can enjoy perfect after-sale service. Powerful yet more intelligent, the new iStick TC100W is skillfully engineered with the latest temperature control system. Not only does the iStick TC100W feature its magnetic covers for ease of replacing your 18650 cells, it also presents you with upgradeable firmware and switchable TC(Ni/Ti/SS/TCR)/VW/Bypass modes. In addition, an ergonomically designed shape with hidden button is for better grip action. Charging: The 18650 cells can be charged in the iStick TC100W through USB port at the bottom of the device via 1A wall adapter or a computer or charged with a separate battery charger. It is recommended to charge the 18650 cells with a separate battery charger as it will take less time to give them a full charge. 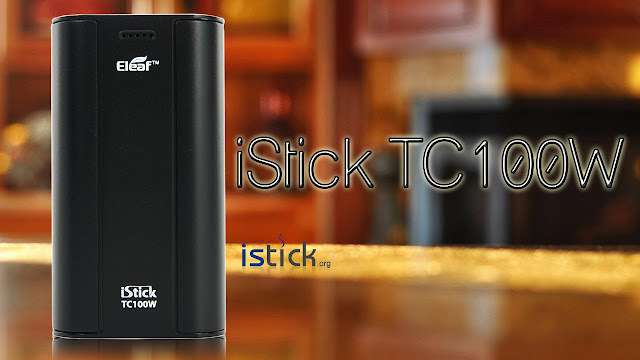 Download the file below to upgrade your iStick TC100W from V1.00 version to V1.10 version. 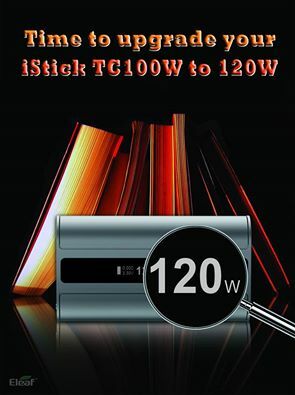 Firmware V1.10 allows maximum output power of 120W.